Spring is here and it will soon be summer. Naturally it’s time to get your body in shape. Whether you’re looking to start a new sport; preparing for a holiday or; a special occasion, the reasons are limitless. However, this blog isn’t about why you should exercise, this blog is about what you should consider before you start exercising. programme properly is the key to steady progression. Rest days are good and needed in order to help your muscles recuperate, but try to train a minimum of 3 days a week. and keep you motivated when you see the results. for your muscles to change and adapt to the new you. design your programme to improve your range of motion, strength, speed and endurance. example; you may want to exercise early in the morning before you start your day. fitness a lot quicker rather than sticking to a similar gym or fitness routine. • Put it on paper. If you can see it, it will help you stick to it. Start with your footwear. Make sure they match the demands you’re putting your body through or the terrain your planning to run or move on. For example, if your planning to do sprint training spikes are light and stiff to help propel you across the astroturf, whereas running shoes have more shock absorption for long distances to help absorb the impact under your feet.The correct clothing is also essential for support, protection and flexibility and it helps aid your performance. You might want to consider fitness apps to keep you motivated, to keep in fun and to track your improvement. DAMN!!! now you are ready to go. When you start to train keep these tips in mind to aid your performance and the beginning of your lifestyle change. Start slow and build up gradually: well I guess you know the story of the tortoise vs the hare. Be the tortoise, ALWAYS! Give yourself plenty of time to warm up and cool down. A warm up consists of easy moving and stretching until you feel warm and not puffing. Add some dynamic stretches and prepare your body for the activity. For the cool down make it an easy slowdown from your activity and finish off with either static or assisted stretching. Make your session suit you: if you can’t fit 30 minutes all in all at once. Then try and fit it in throughout your day so you can start with 10 minutes in the morning, 10 minutes midday and 10 minutes in the evening. 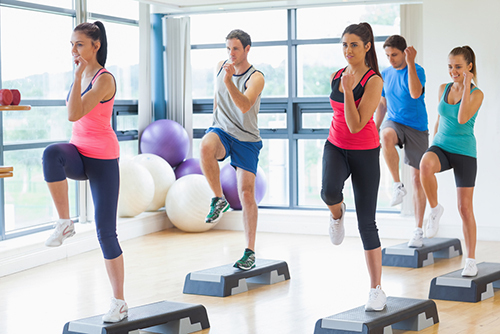 Shorter but more frequent sessions have aerobic benefits too. Mix it up: The gym isn’t the only way to get fit and have fun. Here are some of the ideas I have tried just to keep me inspired and interested and healthy. Honestly, the options are endless and you can give yourself a challenge to do something different every weekend. Listen to your body: If you feel pain, shortness of breath, dizzy or nausea, take a break, there is no hurry to getting fitter and you might be pushing yourself to hard. Don’t forget to maintain yourself: the occasional yoga, pilates, massage or sauna session will keep your muscles happy and you’ll be able to get better, easier and quicker if you maintain your body in peak condition using these tips. Now you have the baseline for your programme, it’s time to check how much you’ve improved. If you check every month and exercise a minimum of 3 days a week you will gradually see yourself getting better and better. In addition, you can see if you need to add more time or more days to continue to improve. Or, you may be happy to find that your current way of training is meeting your fitness goals. On the other hand, if you feel like you are losing motivation, change your goals, try a new activity, take a friend, or change your fitness classes. When you start to exercise it an amazing decision and you are welcoming a happier and healthier you into your life. It doesn’t have to be overwhelming all consuming. Start small and pace yourself and in time you will wonder how you ever lived without it. For my first blog, I wanted to tackle running. It’s the sport with injuries that come up most frequently in the clinic. So why do so many of us love it so much? Are we built to run? Have you ever sat down and thought of what running actually is? I am sitting in Brendan Chaplin’s class – a strength and conditioning mentor – and asking myself all these questions. Running is, in my mind, one of England’s biggest fitness crazes. People use running to accomplish great feats of distance, competition and a free source of travelling. So I found myself thinking back to the beginning. Running for us Homosapiens is one of our most basic forms of movement. We use it to track and hunt food. 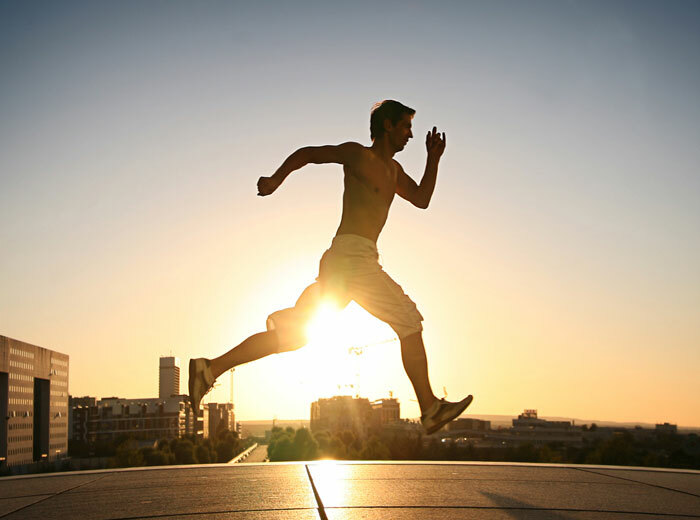 Through time, running eventually became a sport, around 2,700 years ago. To honour Zeus, men would compete by sprinting from one side of the arena to the other. After time we come to the invention of ‘jogging,’ which came about in the 16th century. Nobles would wear amour into battle and find jogging was easier and could conserve more energy. So there is much more history to running than we might first expect. We used running to hunt, then to compete. But let’s not forget we can also use running to bet on. So, how did social running begin? Social running or running training for long distances didn’t really come together until the legendary “Arthur Lydiad”. He created the first social jogging club 40 years ago in New Zealand who inspired people to run and introduced the ‘base training’ phase that runners use today in their training program. In the past 30 years of marathon running, the infamous performance-limiting phenomenon known as “hitting the wall” affects 1-2% of those who race. According to sport scientist, Rapoport (2010), there are variable physiological energy constraints that provide a predictable measurement for when this will effect individual runners. An example of the measurements include muscle mass distribution, liver and muscle densities and running speed. So if it is your first time racing and one of your concerns is “hitting the wall,” all you really have to consider is eating well and make sure you find a comfortable pace and sticking to it. Running is a pure unidirectional movement. The main muscles specifically involved with the impact and movement are your calves, hamstrings, quadriceps, gluteus, illiacus and psoas major. It is well known that marathons causes injuries especially for people doing it for the first time. As we have seen the hunting and speed style of the past might carry over into how we react ad move today and we can relate this to our body structure. However, another sports scientist, Burnfoot (2014), found that first time marathon runners don’t suffer form knee damage due to repetitive use. Germany’s Freiburg university hospital measured the runners cartilage before the start of their training program and immediately after their first marathon and found that there was no depletion in the cartilage. So this research shows that the structure of the body is not the problem. So we know that there isn’t a fault in the human body, but what else could it be? Let’s say you run step by step, over and over again, covering 20 – 80 miles in a week. What could go wrong? Well if that first step is wrong and putting unnecessary strain on your body, guess what happens when you do that step 100 to 1000 of times over and over? This is how niggles develop. So lets start by getting that first step right. We can do that through specific strength training – which we’ll get to grips with in my next post – so don’t forget to follow my blog to get the updates. In the meantime, if you are suffering from any running related injuries and want to get them sorted then book up a consultation, or let me know your experiences in the comments below.